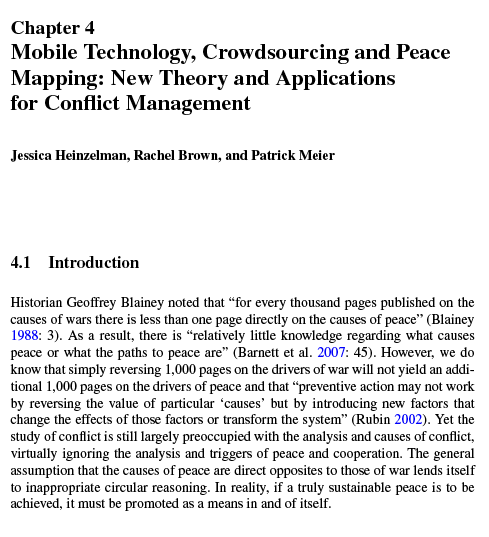 This entry was posted in Crisis Mapping, Crowdsourcing, Early Warning, Social Media and tagged Conflict, dispute, Governance, management, Mobile, odr, online, privacy, resolution, Security, Technology. Bookmark the permalink. The FAQs are too general. Using the forums for help means leaving a question and hoping that somebody sees and answers it before I forget what I asked and where. I don’t really understand the terminology used in the backend. For example, I’ve been fooling around with it for weeks now and I still don’t know what “Layers” and “blocks” are. Why do layers need urls? And how on earth do you use Swiftriver? Are these problems going to be improved soon because it’s almost unsable without a glossary or manual. Have you looked through this, particularly the first guide? There’s also a dedicated Skype chat for tech support, which I’d be more than happy to add you to. Thanks for replying Patrick. 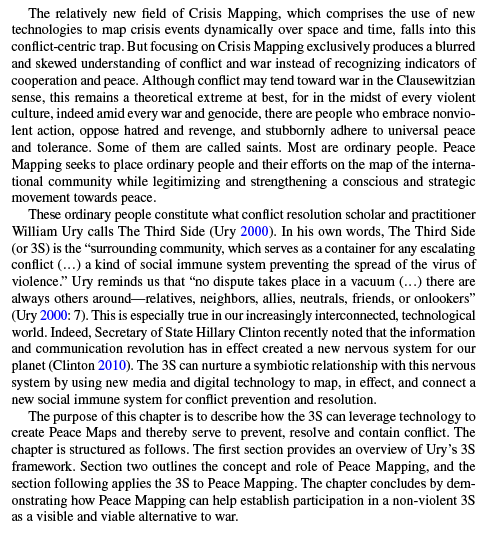 I thought those pdfs were for something else since I’m using the crisis map’s web interface. I’ll have a read of it when I get a chance. Thanks for the offer of Skyping. I’ll probably have to take you up on it sooner or later. Thanks Patrick. Could you just tell me what Layers and Blocks are and how to use them? Okay thank you for your information ……..